Biotene Dry Mouth Toothpaste - Fresh Mint Original 4.3 oz is the #1 Recommended Dry Mouth Care product by dentists and hygentists. Only Biotene Original Fresh Mint Dry Mouth Toothpaste provides triple enzyme protection with the unique LP3 Oral Enzyme System that enhances your mouth's natural protection!One 4.3 oz tube of toothpaste. 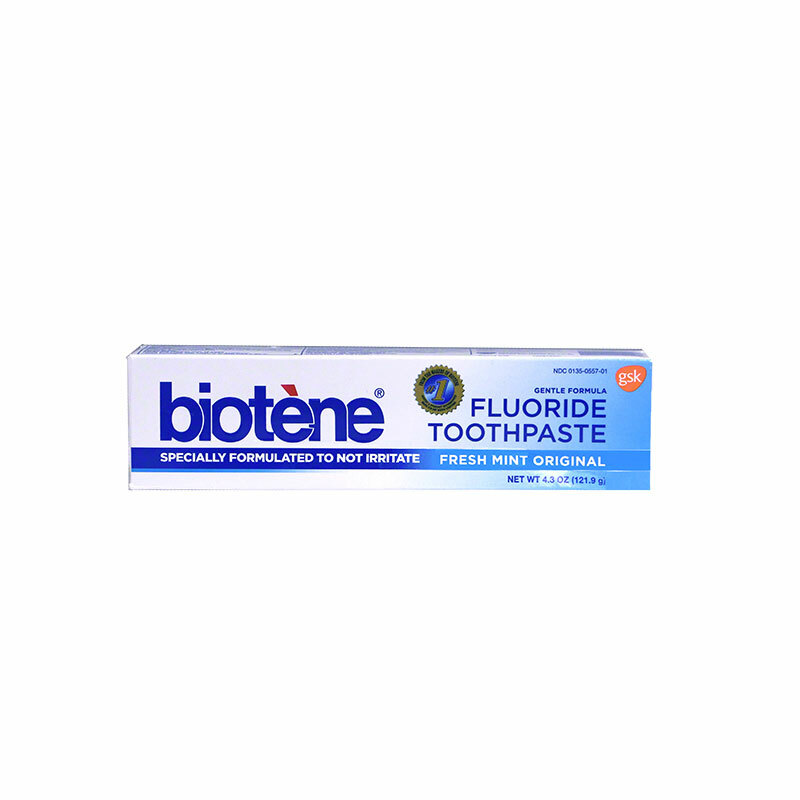 Biotene Dry Mouth Toothpaste - Mint 4.3oz is the #1 Recommended Dry Mouth Care product by dentists and hygentists. Only Biotene Original Fresh Mint Dry Mouth Toothpaste provides triple enzyme protection with the unique LP3 Oral Enzyme System that enhances your mouth's natural protection! Biotene Mint Dry Mouth Toothpaste promotes healing of bleeding gums and periodontal inflammation, and helps to reduce & prevent canker sores with its soldium lauryl sulfate-free formula. One 4.3 ounce tube of toothpaste.